How to remove Bed Bugs | Preparation for Bed Bug Treatment. We have all heard the bedtime rhyme about not “letting the bedbugs bite,” but increasingly bedbugs have become a reality to countless homes and businesses in Central Texas. What most people don’t know is that bedbugs were commonplace pre-World War II but subsided for 20-30yrs afterward due to a variety of factors. Unfortunately, since 1999 they have now made a historic comeback in homes, apartments, hotels, motels, health care facilities, dormitories, shelters, schools, modes of transport, and MANY other areas. Bedbugs have the ability to evoke such overwhelming emotional stress from the very first sign of activity. Bed Bug activity and infestations have nothing to do with “dirty” living conditions, in fact they have been found in pristine homes to five star hotels. Adult bed bugs are about 3/16-inch long and reddish-brown, with oval, flattened bodies. In fact many people confuse them with cockroaches and ticks. The eggs are about the size of a pin head and they are glued to surfaces, usually inaccessible cracks and crevices. Nymphs (immatures) are identical to adults only smaller and whiter in color until they obtain a blood meal and develop to the next stage. 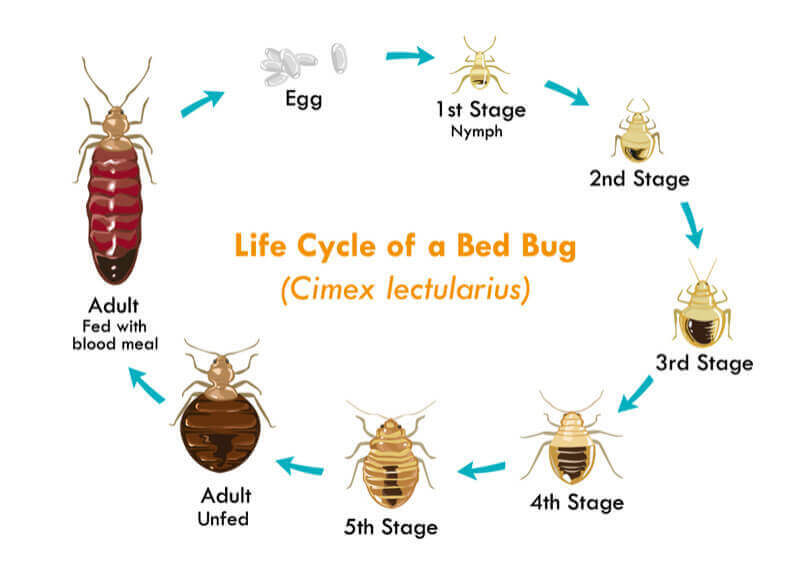 Bed Bugs are mainly nocturnal and usually stay close to sleeping areas during the day. A female Bed Bug can produce up to 400 eggs during her lifetime at the rate of 3-4 per day. The eggs take approximately 6-17 days to mature. Their lifespan is 12-18 months. Bed Bugs are efficient hitch-hikers and readily move from one room/unit to another. They feed upon blood and humans are the principle source but will feed on other mammals (dogs, cats, birds, rodents, etc.) if available. The scientific community has not found Bed Bugs to be a disease vector so human transmission from bites is currently unfounded. Only 40-60% of people show a reaction to a bite and the reaction is dependent on the person, similar to a mosquito or flea bite that may itch severely. Infections can occur due to intense scratching. 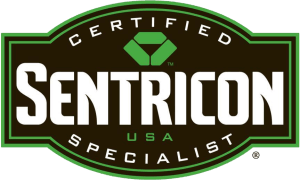 Early detection and action are essential first steps when dealing with this pest. When homeowners and property managers wait or try “do it yourself” methods it often exasperates the situation thus making the problem worse. At iPest we have trained and experienced staff to identify and eliminate this problem in your home or business. Our programs are tailored for your home or business and involve the latest techniques. So if you think you may have Bed Bugs, or are experiencing bites, we encourage you to call us for an inspection. Bite back! – Take control of your backyard with our signature BiteBack plan. iPest provides a complete remediation mosquito, fleas, and ticks in the months of March-November. Through industry-leading research, we’ve developed an effective and efficient plan to help you bite back. *Add fire ant control with granular application throughout lawn annually for $199.